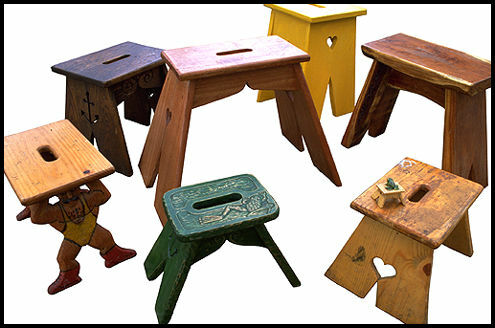 Bill had a stool as a child that he dragged around with him everywhere. He loved that stool and the independence and adventures he had with it. Politics and war have separated him from his childhood belongings including his beloved stool. He started making stools when his daughter Bonnie was born and he hasn't stopped. He uses found and recycled woods. He makes tall, wide, short and strong stools; from a toddler to a beefy adult. Colors and finishes vary.